What’s the purpose of window film? 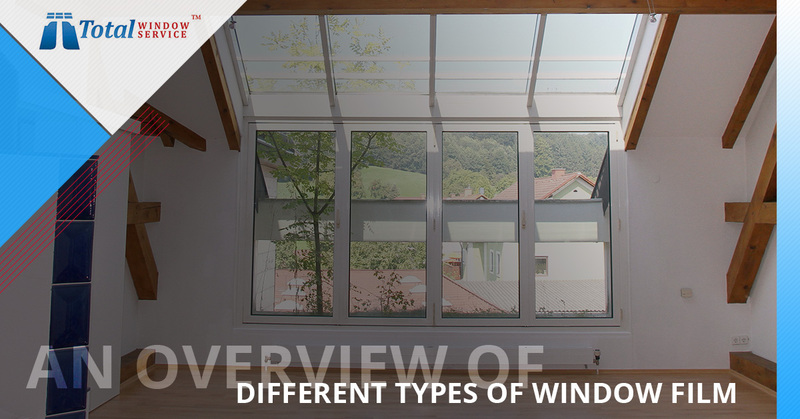 Perhaps the correct question would be, “What are the purposes of window film?” That’s because there can be many different reasons for having film installed on your windows. Read on to learn about some of the main purposes customers have film installed. Window film can let you and your family see out your windows without outsiders looking in. It gives you the level of privacy you want to stay comfortable in your own home. For commercial applications, glass window film can accomplish the same thing: give your business the privacy it needs. Let your employees look outside without spying eyes peering in. Did you know that some types of window film are so strong that, in the event that an intruder tries to break in through a window, the film will complicate matters? That’s because if the glass does break, the pieces will continue to adhere to the film. Potential intruders don’t want to draw unnecessary attention to themselves; when their break-in attempt initially fails thanks to the invisible layer of safety provided by window film, they’ll likely give up further attempts and leave the scene quickly. Businesses will also enjoy added security with window film. If someone tries to break in after hours, they’ll likely give up and flee when the invisible barrier prevents them from entering. Hard to believe, but some people just love to leave their mark on the world, even if it’s on someone else’s property, and even if the damage done is extensive. To combat graffiti vandals who want to tag your home or business, have anti-graffiti window film installed. This can be an excellent solution for storefront windows, mirrors, glass tables, and more. A very common reason people have protective film installed on their windows is to reduce glare. Solar window film is effective in reducing brightness both at home and in the workplace. Just the right level of glare control can be accomplished through different sun-blocking window film materials and varying grades of tinting. Another common reason to have window film installed is to protect everyone inside against the harmful effects of UV rays. While it may feel nice to sit by the window and soak up the sun, too much of a good thing can be detrimental to one’s health, leading to potential skin issues. High-quality window films can block up to 99 percent of the incoming UV rays, which means you can sit by the sun without worrying about its rays harming you. What’s more, heat-blocking window film can keep everyone inside cooler in the summer. The sun’s hot rays can’t penetrate through the heat block effectively, which means that you and your loved ones can sit near a window in the middle of summer without roasting. A cooler indoor climate is a huge benefit during New York City’s hottest, most humid months. This is another excellent benefit that customers who opt to have window film applied enjoy! When you conserve energy, you help the environment (and ultimately, yourself and future generations), and more immediately, you save money on your energy bills. A lot of people find glass film to be very attractive. In addition to the benefits already mentioned, protective window film makes a home or a business look sleeker. Tint levels can be customized for both style and function. Ready to find out for yourself how the application of window film can benefit you? 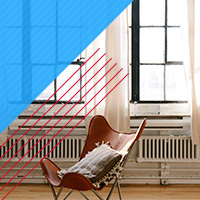 Get in touch with New York City’s window specialists, Total Window Service! In addition to offering exemplary residential and commercial window cleaning and restoration services, we can professionally install a variety of window film types for you. Our window film clients have discovered that this is an inexpensive service that comes with numerous benefits, just as we’ve outlined in this blog post. Whether glare is a concern for you, or you’re worried about your family’s or business’ privacy, or you want to add protection against graffiti vandals, window film can provide just what you need. If you are located in or around the greater New York City region, get in touch with our company today!